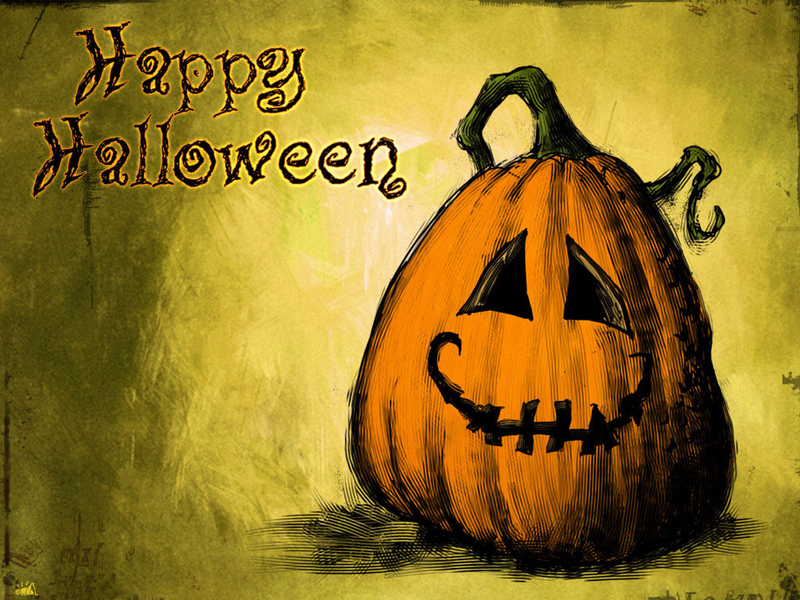 Have a safe, SPOOKY, and happy Halloween! 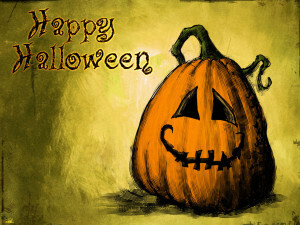 Posted in Boston, Key West, San Diego, Savannah, St. Augustine, Washington DC | Comments Off on Happy Halloween! I was born at the old Balboa Naval Hospital in San Diego, California in 1967. After San Diego, the family moved to Oak Harbor, Whidbey Island, Washington, where my father was stationed at NAS Whidbey Island. Upon being discharged from the Navy, the family moved to Roggen, Colorado and onto the family farm. The Shoeneman 5M Ranch has been in the family since 1891. Currently my Uncle Joel Shoeneman lives on the family homestead. After a four year stint in Kimball, Nebraska, I moved to Brighton, Colorado where I graduated from Brighton High School in 1986. Within a month of my high school graduation, I moved back to San Diego, California to attend college. I attended San Diego State University before receiving my degree from the University of Colorado. By the time that I had graduated from college, I had already started my career in real estate and development. I worked in commercial real estate in Denver, Colorado specializing in vacant land, brown fields and land development. During my real estate career, I also did several fix and flips. I made my first trip to Key West in 2000 during a sailing vacation. The next year I made a week long vacation trip and would eventually buy a time share here that I would spend three weeks a year in. In 2011, after twenty years in real estate, I was looking for a change of pace and decided to make the move to Key West. I have always enjoyed the history on the island and in 2012 went to work for the Conch Tour Train telling others about the island history. CASTmember Spotlight– Anna Bohrer, Administrative Asst. For the longest time, I didn’t know what part of America to call my home. Officially, I was born in Berkeley, California, but I don’t remember it at all, because I was only there for about a year as an infant. It wasn’t long before my family moved to Acworth, Georgia, where I spent my kindergarten years playing in the dirt and catching anoles and skinks in my back yard. When I was 6, we moved yet again, this time up to a town in Bristol County, Rhode Island, where there was a notable lack of lizards around for me to catch. That turned out to be an acceptable loss, apparently, because I haven’t moved from New England since. I stayed in that same house with my family– Mom, Dad, younger brother, two dogs and a cat— up until I graduated high school in 2009 and started attending college here in Boston. I enrolled as an animation student at the Art Institute of Boston at Lesley University, and spent the next four years learning that trade, while also enjoying the sights of Boston and Cambridge in my down time. I graduated with my BFA in 2013, and now I live here permanently in an apartment with five of my best friends, their pets, and my own pet lizard named Dog. I’ve been bouncing around, trying out new things to help figure out what the heck to do with myself. It hasn’t been easy, picking a focus. I have a lot of interests, from cartoons and video games, to animals, and natural and American history. HTA seemed like a great fit for me because I’ve always been a big advocate of traveling. Nearly every school break, my family and I spent out of town, whether we left to enjoy the beach near my grandparent’s house on the eastern end of Long Island in New York, or hit the road and traveled further south. Down there we’d visit my dad’s family in beautiful Paw Paw, West Virginia, or explore America’s history with my mom’s family in Virginia, Maryland, and Washington D.C. Wherever we went, my parents always made sure that my brother and I got to experience our nation’s beautiful national parks and historic landmarks along those 8-12 hour drives. What better way is there to spend my time not traveling, than helping visitors enjoy similarly enriching experiences right here in my home city? Boston has so much to offer, and I want to help everyone see it all. 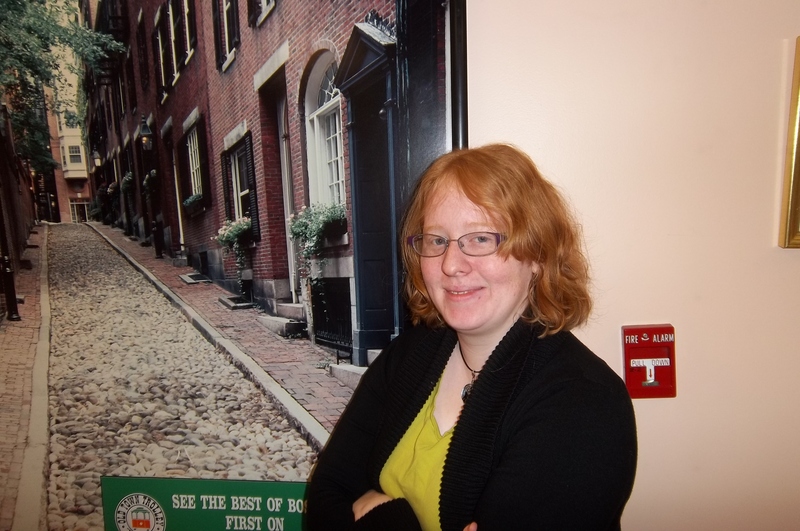 Posted in Boston | Comments Off on CASTmember Spotlight– Anna Bohrer, Administrative Asst. ” I was born in rural, southeast Missouri to smalltime cotton farmers and spent my early years growing up in the small farming community of Sikeston, Missouri. 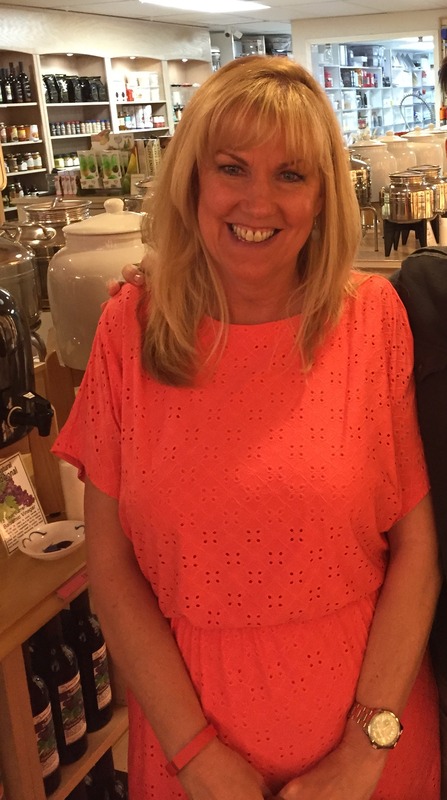 When I was just eight years old, my family stopped in Savannah for a few hours on our way home from Disney World, eating at the first restaurant we came across: the newly-established Lady & Sons where we were greeted by a yet-undiscovered Paula Deen. My parents were immediately in love with the Southern charm of Savannah and within the year we had packed up and moved here, a huge life change. My dad went into heavy equipment sales and my mom into the tourism industry. I quickly acclimated to my new home in Savannah and enjoyed growing up here. I attended Savannah Arts Academy as a Theatre Major for high school and then left Savannah for college at Georgia College & State University, eventually transferring to the University of Georgia where I graduated with a degree in Political Science and History. 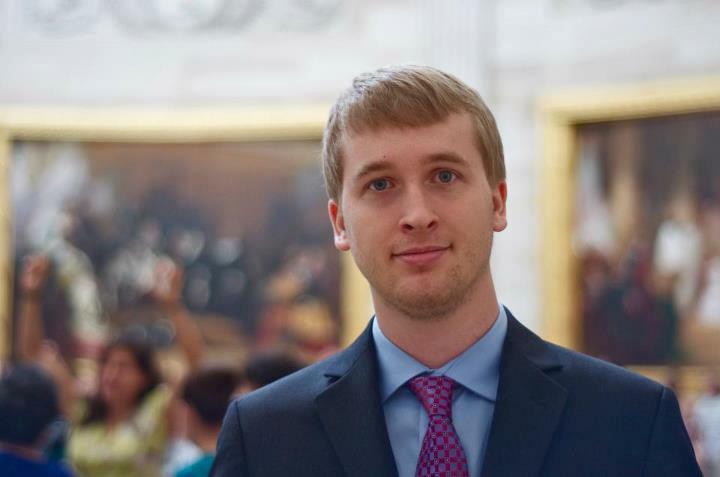 I stayed in Athens after graduation, eventually going to work for a Congressman from Savannah who was running for US Senate. I worked out of Athens on his campaign for a year, afterwards getting a job with the Georgia Republican Party, who moved me back to Savannah as their Field Director for the 2014 election cycle, which is how I ended up back here. After the Georgia elections were over I briefly worked on a campaign in Louisiana before returning to Savannah to take some time off. 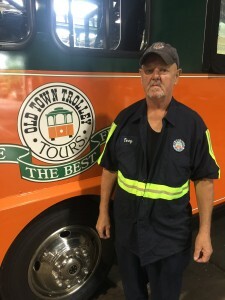 It was then that the opportunity with Old Town Trolleys arose and having never worked in sales or the tourism industry before, I took it on, excited for a new experience. I was born in E. St. Louis, Illinois, but my family moved us to Altamonte Springs, Florida when I was little. I grew up in Seminole County, Florida. My first husband was in the Navy, so I moved all over the United States for over 20 years and raised three awesome boys. From Virginia to New York to Idaho, we lived in more states than I can list here. I am now happily married to a retired Philadelphia Fire Fighter and was able to convince him to move to Florida last year. Lucky for me, he has the same love of Florida and Disney that I do. In my spare time I love to bake, travel and tailgate at Jimmy Buffett concerts. 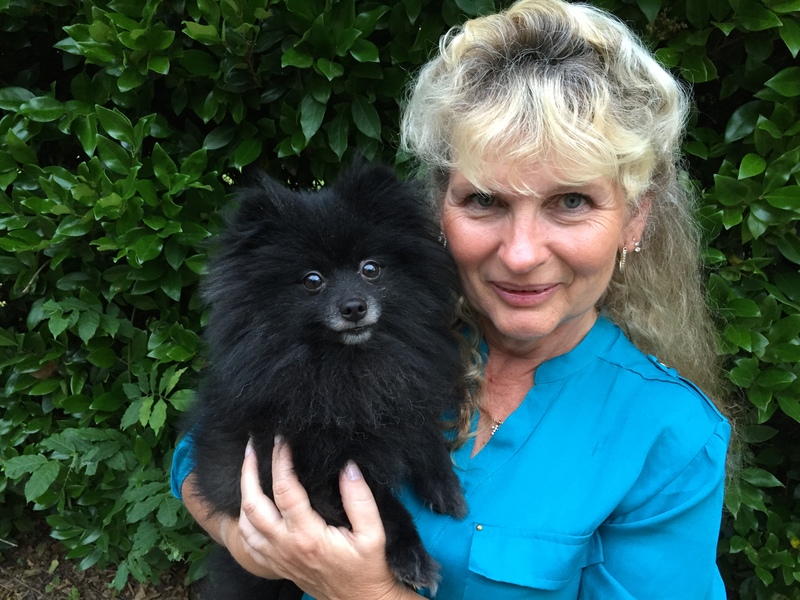 Most of my years I have spent working as a paralegal for attorneys, but when I moved back to Florida, I decided I wanted to enjoy going to work. I quit working as a paralegal and was fortunate enough to be hired as the Assistant to the General Manager of OTT St. Augustine. I now work with the best bunch of people and enjoy every day! Each day is different and it’s great to work for a company where our goal is to make people happy! Since he was nine years old, Terry has breathed new life into at least 59 antique vehicles over the years. His list of restored vehicles includes a 1923 Roadster, a 1955 2-door station wagon and a 1954 pick-up truck. Terry’s first labor of love took him three years to complete. He retro-fitted a 4-cylinder 1967 Opel Kadett with an 8-cylinder Chevy motor. Not bad for a “snips of snails & puppy dog tails” farm boy from Accokeek, MD. 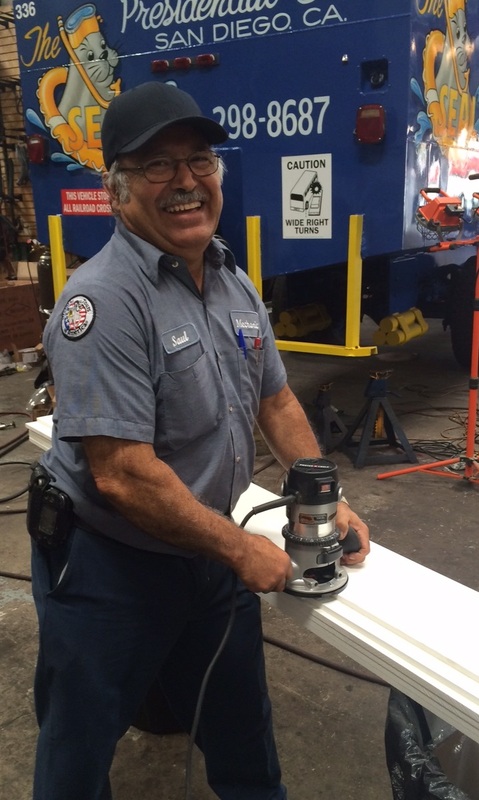 Terry learned how to weld using coat hangers and he began drag racing at Capitol raceway when he was just 14 years old! It’s no surprise that Terry’s favorite movie is “Hot Road to Hell”. He even has a model car from the movie in addition to all the 1958 Lionel model train locomotives / cars that fill half of his attic. When Terry isn’t busy under the hood, you can find him in the kitchen cooking or canning. Some of his favorite dishes are ribs, steamed shrimp and pineapple up-side down cake. Terry is a naturalist too! He has spoiled a few of the local chickadees at the OTT DC maintenance garage. Every lunch hour, as if by command, 2 or 3 birds land as close as arm’s length distance waiting for a treat. 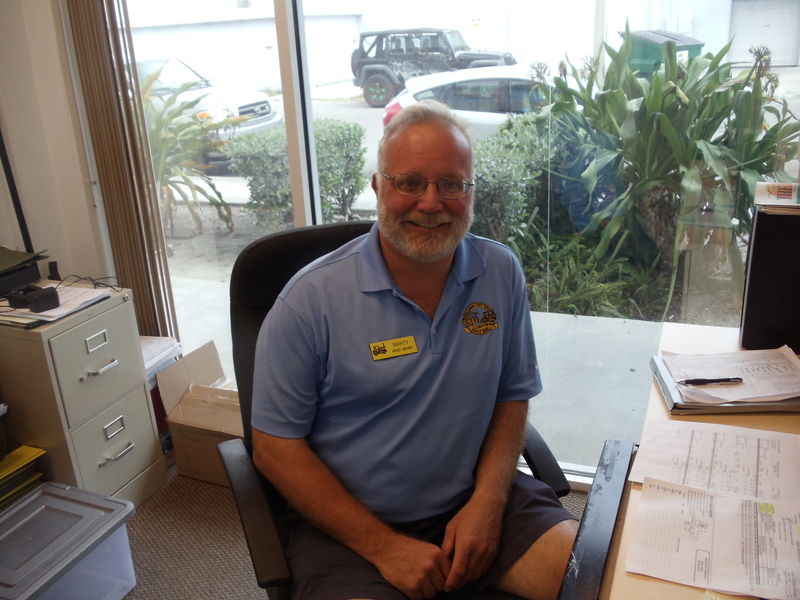 When a friend referred Terry to OTT DC approximately two years ago, he came on board as a mechanic bringing his expertise and humor to the OTT DC team. 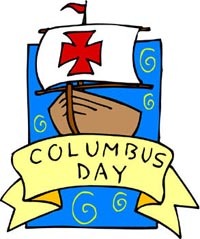 Have a happy and safe Columbus day! Posted in Boston, Key West, San Diego, Savannah, St. Augustine, Washington DC | Comments Off on Happy Columbus day! I was born in Amarillo Texas and raised between Texas and Kansas in farm country. I left home at an early age and moved out of the south to the big city of Pittsburg Pa. and lived there for about 13 years, studied architecture and interior design. I Moved back to another part of the south, Florida in the 80’s, and became a police officer in Ft. Lauderdale for about two years. Went back to design and worked in architectural glass for about 30 years. I met my husband in Ft. Lauderdale in ‘89 and we have been together ever since. I have been in Savannah for seven years and really enjoy being in such a beautiful historic town. I heard about OTT being a fun place to work and being able to meet people from everywhere and that sounded like something I wanted to do. I really enjoy working with my OTT family and being able to show our guests a great way to spend their vacation. Working with a team of wonderful cast members is a great way to live, not alone work. ” I was born in Fresnillo, Zacatecas, Mexico, in 1948. When I was two-years old, my family moved to the city of Juarez, Mexico, where I was raised in the western outskirts of the city. Our family survived without electricity, gas or plumbing; however, despite having to live without these luxuries, I was able to connect myself with something not many people can say they connect to: nature. As a kid, it was my livelihood to go outside and enjoy nature. Whether it was catching chipmunks, caring for dove chicks, or raising wild rabbits, I could not have been happier in any other environment. 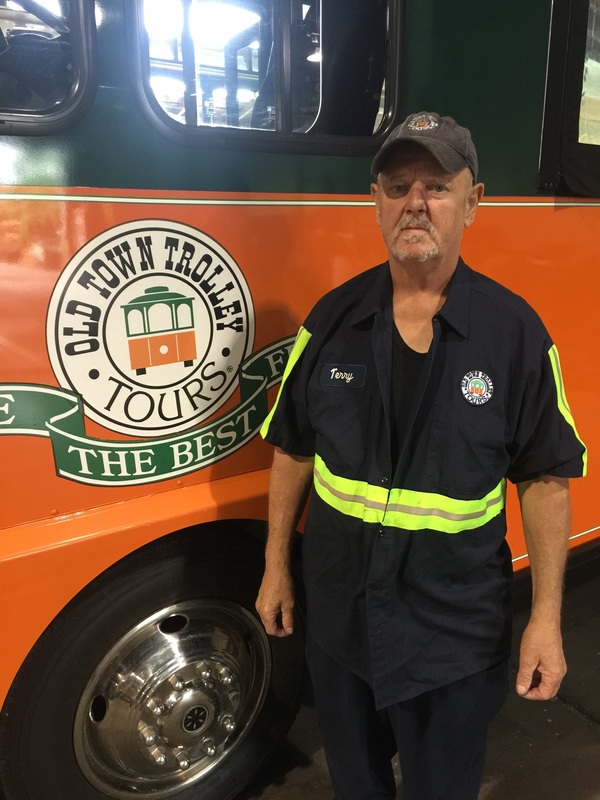 You are currently browsing the Old Town Trolley Tours Blog blog archives for October, 2015.